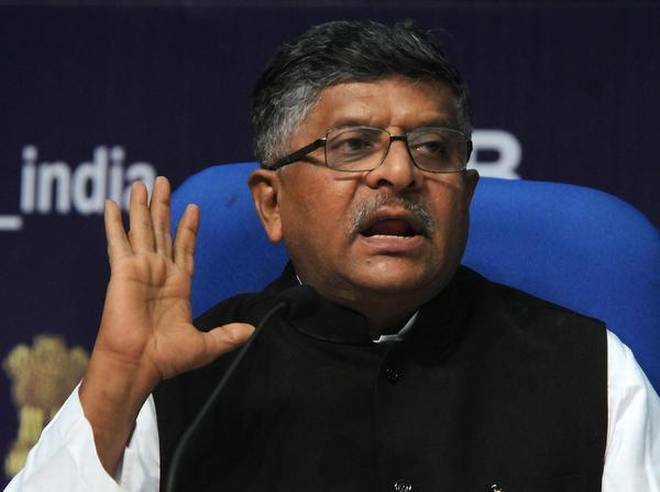 Ravi Shankar Prasad, Union Minister for Electronics and Information Technology, entreated Indian startups to edge towards progress in new tech such as artificial intelligence and machine-to-machine communication. He asked the younger entrepreneurs to use these technologies to create innovative solutions for problems in healthcare and education for rural India. Speaking at an event organised by Meity ASSOCHAM Ericsson, Prasad said, “How can you leverage artificial intelligence, machine to machine communication and internet of things for healthcare, agriculture and education in rural areas? That is the challenge for you.” He also added that India was on its way to become $1 trillion digital economy, generating 50-75 lakh jobs. According to ASSOCHAM, India manufactured about 110 million mobile phones in 2015-16 as compared to 60 million in 2014-15 showing a growth of over 90 percent. In terms of value India’s mobile manufacturing industry produced mobile phones worth ₹54,000 crore in FY15-16 compared to ₹18,900 crore in FY14-15. The same reached ₹94,000 crore by end of 2017. “…The digital aspiration of India is waiting to be explored,” said Prasad. Prasad further said that India had the world’s third-largest startup community after US and the UK. He said that his ministry was working in mission mode to make India’s digital sector stronger. “We would like India to become a centre of small product cyber security and we must look at how IT can help India become a big centre of data analysis’, said Prasad. About the rising concerns regarding data privacy, Prasad emphasised that while data is important for analysis and policy making, there has to be balance between data availability, its utility, innovation, anonymity and privacy aspects. “Data most be anonymous… It means data availability minus income details, medical profile and other such information,” Prasad told a news wire. The Union IT Minister also mentioned the increasing adoption of the Umang (Unified Mobile Application for New-age Governance) app, Bharat Interface for Money (BHIM) app that enables secure cashless payments through mobile phones. Through a series of events and speeches from earlier this year, Prime Minister Narendra Modi is seen to have been deliberately showcasing India as well as his government as technologically forward. Industry insiders are happy to see that the Modi-led NDA government is working towards supporting a tech-driven future.